RAM RRB/PSU Anti-Ram ornamental polymer telescopic post with a 785mm height above ground and features a 125mm diameter. 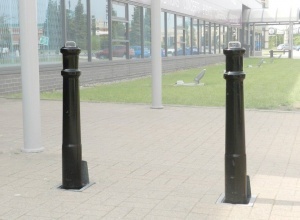 For exceptional security and ease of use, the RRB PSU ornamental telescopic bollard provides a more traditional looking security solution. 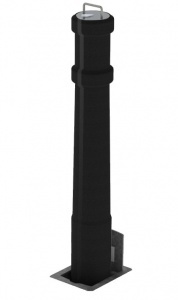 Made to RAMS’ exacting standards and covered by a comprehensive guarantee of 12 months, the RRB PSU excels where access to space needs to be as quick to gain, as it is difficult to compromise. 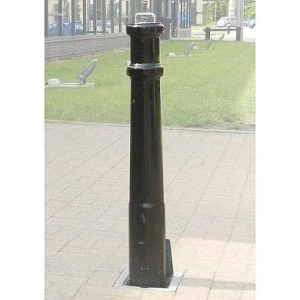 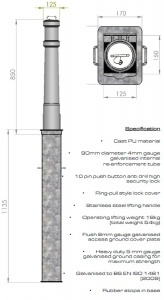 RAM RRB PSU ferrocast telescopic security posts are black as standard.